The first of three fictional campaigns put you as a Soviet pilot flying the newest Soviet jets (the Yak15) in the renewed Soviet offensive against Germany. The second is as a German bomber pilot caught up in the confusion and infighting that would have occurred had the plot to execute Hitler had been successful. The third is a German fighter pilot flying from 1943 to 1946 fighting and flying the latest German fighters. Needless to say this is a huge add-on. The Pe2 was less than a big seller for reasons described earlier. Justified or not, people did miss out on some good gaming. Sturmoviks over Manchuria was originally going to be released like Pe-2, but luckily was just included in the full release. 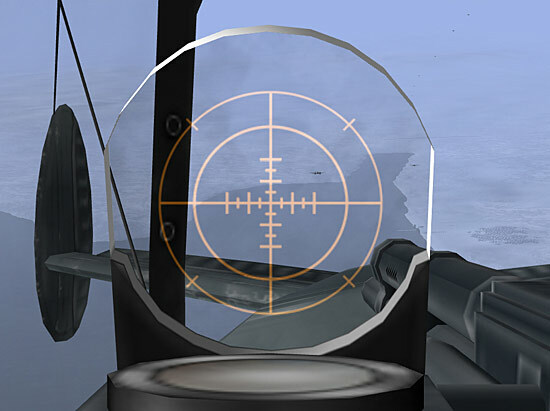 In addition to all of the planes and missions, there have been numerous bug fixes and other problems resolved. It has been reported that some of the spin problems with the Italian Mc202 and 205s have been corrected. I don’t know the baseline stall and spin characteristics of those planes but from what I understand the dynamics weren’t right and have been corrected. New fields, new maps, new skins (a lot of new skins) go along with the new release. So, is it worth purchasing? Well, this one is a little bit tough. For the most part I say yes, although there are some caveats. 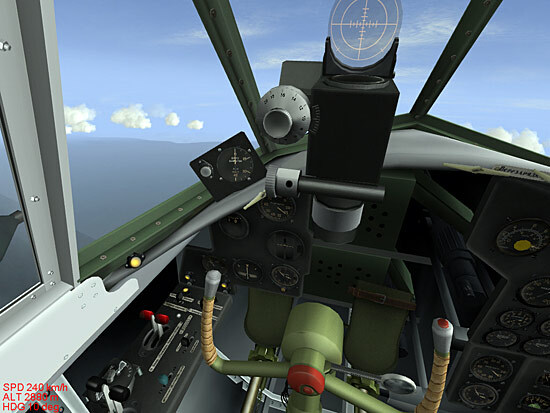 IL-2: 1946 is really nothing more than a platinum pack of the original IL-2 series which of course isn’t a bad thing. A lot of games have released packs and new editions to improve on the basic product and this really is no different. At the same time it means there is no definitive reason to go and get the game. This game is no different in its basic design or setup over Forgotten Battles / Aces Expansion / Pacific Fighters. There are some new gee whiz things and some fanciful aircraft but no real changes. Having said that, it is really convenient to have this game on one DVD versus having to install multiple CDs over what amounts to an hour (at least) of work. One major scratch on one CD and you are hosed. 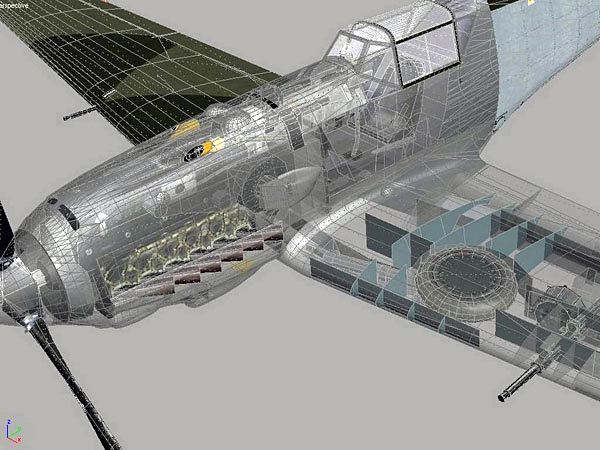 Of course that is true with IL-2: 1946, but there is a real convenience in having everything together. If you are a dedicated Eastern Front flier with no interest in some of the newer aircraft, then you probably don’t need this game. The Pe-2 add-on is nice, but you can still get that separately and the rest of the game involves either fanciful aircraft or Pacific Theatre aircraft that you won’t see (other than the IL-10). If you are a dedicated online flier then plan on buying the game. I am sure there will still be 4.04 games available on the Hyperfighter web site, but I suspect that they will become fewer and farther between. Just like when the Aces Expansion Pack and later on Pacific Fighters were released. This title will soon mean that v4.07 will be played on most servers. My advice is to consider this title seriously if you want to continue playing online on active servers. It is sure to become the online “standard”. Of course if you have an interest in playing over Burma or over the Manchurian area, then this is a good title to pick up. The Ki27 and 43 are a blast (especially the 43 — what a delight to fly!) and Japanese squadrons will be thrilled to fly these aircraft. 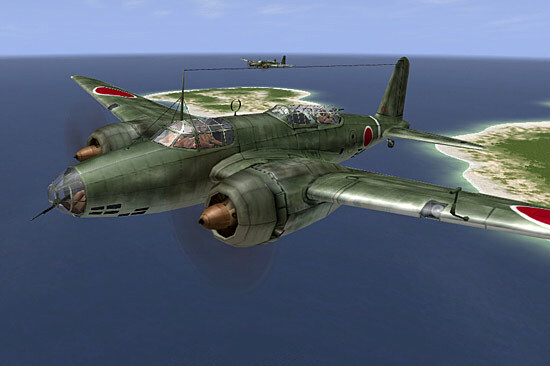 The Imperial Japanese Army has finally received the airframes that they need to make this game more of a true Pacific Theatre simulation. The biggest critique I still have of this area has to be the lack of carrier based torpedo bombers and the lack of what I still consider to be the glaring omission of naval units that were among the most important in the Pacific Campaign. There are still no Yorktown class carriers. I know, I know… there are issues with certain aerospace companies and their silly decisions regarding game developers rendering their ships and planes. Someone suggested the USS Wasp, a smaller carrier that was loosely based upon the Yorktown class, something of a poor mans Enterprise. Ok, maybe the Yorktowns are out, but why are the Yamatos, the Arizonas, the Iowas, and the North Carolinas out of the game? I understand that there are some really cool ground items that are in the game, and I like them. New artillery pieces are fine, but flying and attacking a King George V class under Japanese livery just doesn’t do it for me. I guess it is too late to expect these kinds of things, but these are immersion killers for me and will continue to be. I was ticked off enough with it in CFS2, a game released four years ago. It is unacceptable today. Other than this (still) glaring omission, I have no major complaints with IL-2: 1946 and think this is the best final touch on what has been one of the most successful and long lasting games created. The final release of the title is an improvement.